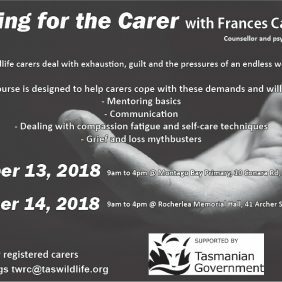 As a member of the Tasmanian Wildlife Rehabilitation Council, you’ll not only be part of a dynamic and passionate community, you’ll also be contributing to the future of wildlife in Tasmania. 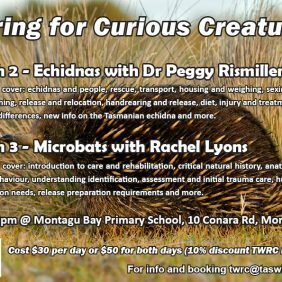 Your support will assist the TWRC achieve the very best outcomes for our truly amazing native fauna. This membership offers individuals the opportunity to actively support and engage with the carer community, and contribute to the best in wildlife outcomes.